Chosen by the fickle finger of fate, Abe, first class Floor-Waxer for RuptureFarms, was catapulted into a life of adventure when he overheard plans from his boss, Molluck the Glukkon, to turn Abe and his fellow Mudokons into Tasty Treats as part of a last-ditch effort to rescue Molluck’s failing meatpacking empire. 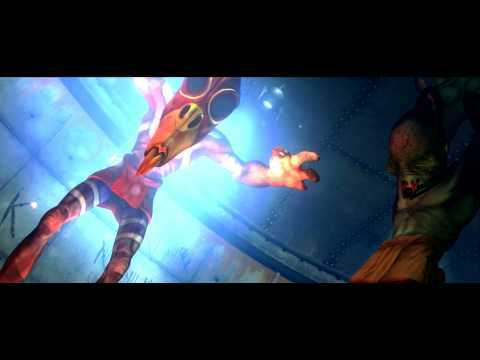 Oddworld: New 'n' Tasty, Abe's Oddysee and the Oddworld Logo are registered trademarks of Oddworld Inhabitants in the USA and/or other countried. Just Add Water (Developments) Ltd, JAW Ltd and the JAW Logo are trademarks of Just Add Water (Developments) in the UK and/or other countries. All rights reserved.